DRIVING LESSONS BRISBANE AND LOGAN CITY FROM $37.00, when you buy 2+1 free K2D at $110, payment must be made prior to lesson. CLICK T&C FOR MORE. You´re looking to start learning to drive but finding the best driving instructor can be confusing. Don´t leave it to chance! 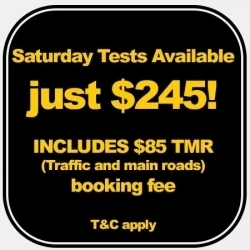 Fab is an established driving school with a great reputation for providing high quality driving lessons throughout Brisbane, Logan City. Learning to drive with Fab means you will be taught by an experienced driving instructor who will give you the best possible chance of PASSING FIRST TIME. Our driving instructors have extensive experience teaching pupils from nervous, complete beginners to older, more experienced drivers as well as overseas licence holders. At FAB driving school we have courses and packages that will suit your budget. Check out our K2D driving lessons funded by Australian Government on our price page for $110. We have a popular package consisting of 2 driving lessons PLUS 1 K2D Click here to register condition apply,NB Pre booking is essential to secure. Fab DS have Manual and Auto cars fitted with dual controls, so there no need to panic! Our instructors are chosen for their knowledge, experience and their ability to tailor the driving lessons to best suit the individual learner. Our range of driving courses provide training for all ages and abilities. New drivers will be taken from understand the vehicle controls to being able to make key decisions when in a difficult situation. Making Your Choice Our Instructors are friendly, professional, making your experienced fun and less stressful. If you require information on how to get a Queensland learner licence, click here(TMR)Transport and Main Roads As we may be on a lesson if you require further information or to book your next lesson PLEASE TEXT directly to this number 0434 506 701 for an instant reply, we will try to arrange around your schedule.